Have you heard of Synbiotics? 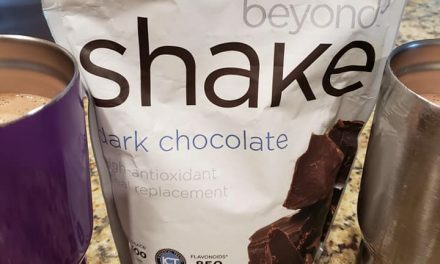 I know, I know, I normally talk chocolate all the time but honestly when I found out how important a synbiotic formula of probiotics, prebiotics and digestive enzymes and how important they are for all of us to take daily, I felt I needed to share. I recently read an article called “Daily Synbiotic Supplements May Nudge More Weight Loss In Obese Kids” by Healthcorps. org. Specifically the article mentioned ” A recent report in Beneficial Microbes showed that obese kids who were put on a calorie controlled diet and an exercise plan lost more weight when they took a symbiotic (probiotic) supplement, compared to a control group that just used diet and exercise for weight loss. Now that caught my attention. In addition to weight loss there are many benefits. This Brand New Synbiotic blend distributed by Well Beyond called Remity Balance, is a proprietary blend of Probiotics, Prebiotics and Digestive Enzymes. I personally have my entire family taking Balance daily. After understanding the benefits of a synbiotic probiotic blend, it is clear that everyone should be taking this affordable functional food daily. It is recommended to be taken first thing in the morning. That is what we are all doing. 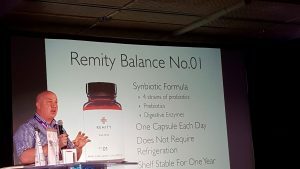 More detailed information on Remity Balance is available here. 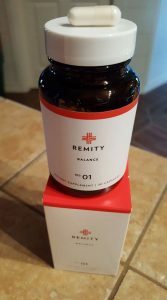 Remity Balance is now available for purchase! Don’t miss out on this affordable daily synbiotic supplement. Any questions, contact Lynette Henk of Three Sons Marketing LLC at (877) 208-8172 or visit us at GoColdPressed.com. NextAre You A Medicare Advantage Plan Member? You May Be Eligible for A Free Health Club Membership! Fire Up Your Brain With Beyond Remity Core Regimen; Powerful Nootropic—A Supplement That Supports Cognitive Function & Focus & Better Sleep!